Over the past decade, Croatia has exploded onto the holiday scene! The backpackers were first to arrive, shortly followed by the festival-goers, and now the all inclusive holiday lovers are beginning to head to Croatia. Croatia sports clear, turquoise seas, historical cities and rugged scenery. However, its not the only country to do so, it’s neighbours also boast dreamy good looks. Here, we’ve rounded up the destinations that will have you rushing to this picturesque part of the world. Game of Thrones fans rejoice! 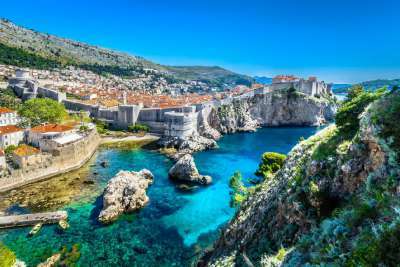 Dubrovnik, a mere three-hour flight away from London, was the setting for many a scene in the famed television series. The famous city was used as the basis for King's Landing, and there are a whole host of tours to let you explore the spots that appear on camera. Those less interested in the fantasy drama can spend their days exploring the historic old town, kayaking through the clear seas or indulging in fresh sea fare. 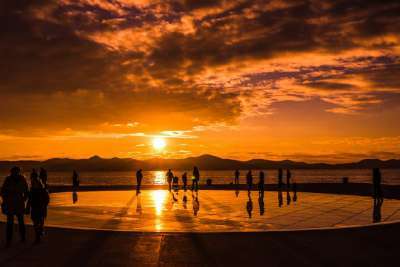 The slick city of Zadar provides an excellent gateway to some of Croatia's most gorgeous natural scenes. Powder-soft white sands and turquoise waters await at Saharun beach, on the island of Dugi Otok, just a short boat ride away from the city. The Plitvice Lakes National Park and its famous waterfalls are a mere hour and a half drive away. There are frequent buses from Zadar allowing you to explore these otherworldly scenes with ease. Those who stay in the city itself will be rewarded with smooth marble streets, and a sea organ which plays music to passers by as the waves come in. Alfred Hitchcock once declared Zadar to have 'the best sunset in the world' and its worth heading to the seashore as the night draws in to find out why. 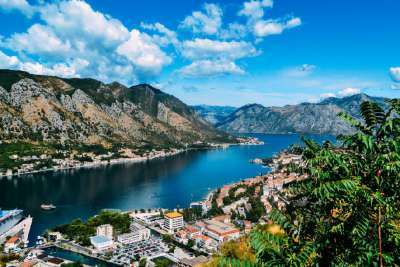 The town of Kotor in Montenegro enjoys a prime position on the bay of the same name. This means that there are tranquil waters stretching out towards a rugged mountainous terrain making it an incredibly picturesque spot for a laid-back holiday. To enjoy these gorgeous views, take the plunge and make the trek to the top of the Castle Of San Giovanni, whose hilltop location affords vistas out across the whole bay. Back down on lower ground, there are surprisingly affordable restaurants to explore and waterside cafes to enjoy a coffee in. 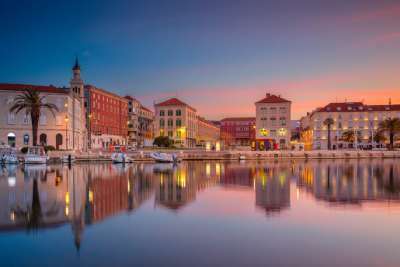 Split is a city that is imbued with history, no matter where you walk you will be rewarded with Roman attractions, picturesque churches and impressive statues. However, Split's most famous building, the Diocletian’s Palace plays host to an array of bar crawls in gorgeous surrounds. Those looking for fresh foodie delights to revive their spirits post bar crawl, will want to head to the 24-hour Split Market which sells fresh fruit and vegetables, delicious olive oils and much more! 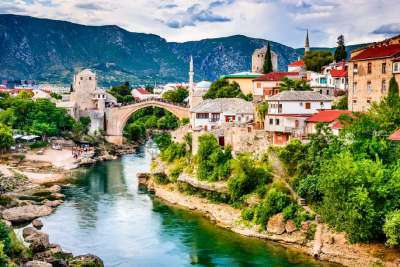 Mostar wears its war-torn history as scars upon its sleeves, there are bullet holes in the city's walls and souvenir shops selling bullet-style mementos. It is a city whose history is both fascinating and heartbreaking. What is remarkable, however, is just how picturesque a destination it is. The famous Stari Most bridge juts out across the teal waters below where revellers splash about. There are petite cafes with al fresco dining areas to eat in, famous mosques to explore and pretty walks aplenty to enjoy. The Italian beach-side city of Rimini is a great spot for a weekend break. You could break a sweat on Rimini's beach with some volleyball or beach tennis, or simply take a dip in the cool waters. 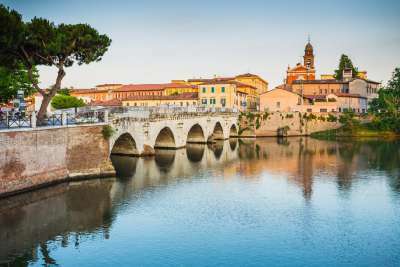 Those looking for a more foodie-themed getaway can enjoy gelato in gorgeous surrounds at the ornate Piazza Cavour or grab a bite for lunch at the Piazza Tre Martiri. If you're looking to explore all of Italy within a short time frame might want to head to Italia in Miniatura for petite models of all the country's most famous sights! 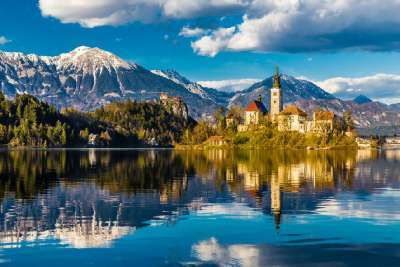 Whilst Croatia is famously beautiful, its neighbour Slovenia proudly offers up Lake Bled - a scene so eye-catching in its good looks that it'll have you taking photo after photo for Instagram. The famous lake, with a church at its midst is a firm favourite with couples looking for romantic surrounds, friends looking to fling themselves into the waters and thrill seekers who come for the water sports. This is a petite destination that packs a real punch as a holiday destination. Those looking to get away from the lake will be rewarded with hiking trails aplenty as they approach the Julian Alps. 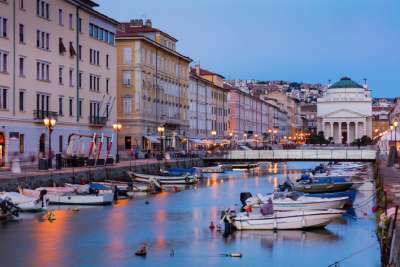 The city of Trieste in Italy is snuggled up by Slovenia and is a somewhat forgotten option when it comes to Italian city breaks. However, overlooking Trieste is an error, it's a city that is arguably more grandiose than Venice without any of the crowds. Spend your days here gazing in awe at the buildings of the sea-facing Piazza Unità d'Italia, sipping on coffee in the city's many chic cafes, or strolling down the Gran Canal. It's worth noting that dinner here is served late and slowly, allowing you to savour your evening and immerse yourself in Italian culture! Pula in Croatia's Istrian Peninsula is full of Italian influences. 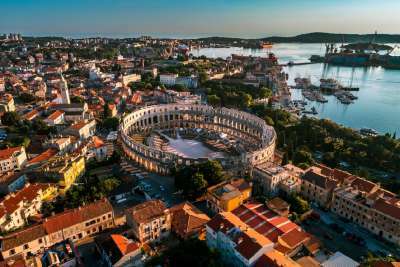 Pasta, pizza and gelato rule supreme on Pula's food scene, and truffles adorn much of the meals. That's not where the hints of Italy end, the seaside city is home to the most complete colosseum outside of Rome! For a decadent day out, head to the island of Veli Brijun where peacocks strut through the grass, and you can try your hand at archery or golf. The coastal town of Porec boasts over 10-kilometres of beaches, ranging from rocky outposts to man-made pebble beaches. This means that you will be able to kick into cool, clear waters with ease! Those looking to get their hearts racing can try their hand at wake boarding at the Zelena Laguna. Away from the seashore, Porec has a buzzing nightlife with chic wine bars sitting beside vast glamorous nightclubs which host world-famous DJs!